SEO Company Guru is a full-service search engine optimization company from San Francisco which produces high-quality, cost-efficient SEO websites for our clients. We accomplish this by combining our creative and technical skills along with our knowledge of business, marketing and advanced SEO techniques to create attractive high-ranking websites. SEO Company Guru is a leader in organic search engine optimization research, meta tag creation, content development, SEO copywriting, high-quality link building, and pay-per-click campaign management. Our strategies have successfully promoted our clients' websites to the top of Google and other search engines organic rankings for their industry's keywords and phrases. By creating high-quality and relevant content along side with appropriate outbound and inbound links, we maximize our clients' domain and page authority. Unlike most of the SEO companies that are solely focused on rankings, we are also experts in conversion rate optimization (CRO) and we implement these strategies and methods into our projects for optimum results. We are experts in optimizing all types of websites, whether it be a large dynamic portal, e-commerce shopping cart, business portfolio, blog or a personal website. Whether you are simply looking for on-page SEO and link building services, or you are seeking a complete website redesign with an extensive search engine marketing campaign, San Francisco's favourite agency, SEO Company Guru, can put a package together that works for your company's needs. 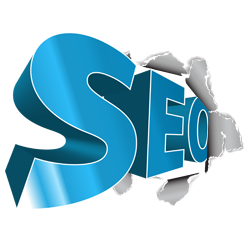 For additional information please visit our SEO Services page. The longer you wait to optimize your website, the better it is for your competitors!